Save lumia 950 to get e-mail alerts and updates on your eBay Feed. Unfollow lumia 950 to stop getting updates on your eBay Feed. 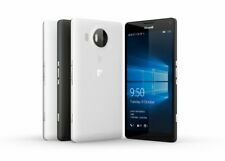 Microsoft Lumia 950 RM-1118 Duos Black! Works on GSM Networks! 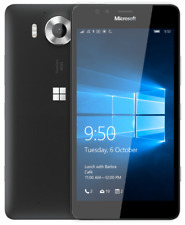 Microsoft Lumia 950 RM-1118 Duos Black! GSM Unlocked! Microsoft Lumia 950 RM-1118 Duos Black! Fits GSM Carriers! Microsoft Lumia 950 RM-1118 Duos Black! GSM Unlocked! Free Fast Shipping! Microsoft Lumia 950 RM-1105 32GB Matte White! Free Shipping! GSM Unlocked! Unlocked - Microsoft Lumia 950 - 32GB - Matte Black (AT&T)Smartphone Great Cond! Microsoft Lumia 950 RM-1105 32GB Matte White! AT&T+GSM Unlocked!!! This page was last updated: 19-Apr 14:30. Number of bids and bid amounts may be slightly out of date. See each listing for international shipping options and costs.